The mission of the Agro-Food-Ind Napoca Cluster is to promote collaboration and cooperation between business entities in the agricultural industry and encourage a competitive restructuring of this sector, as well as ensuring participation in multiple commercial projects, national and international. In this regard, members of the “Agro-Food-Ind Napoca Cluster” decided to join forces to support the development of the agro-industrial sector, with the aim to build on the competitiveness of the association – both on the national and international markets. Create and develop a harmonious interaction between all stakeholders operating in the value chain in the agro-industrial complex. Develop a platform for research, development and innovation. Drive the private sector towards innovation and technology transfer. Support and promote projects of common interest, including projects abroad. Promote and encourage entrepreneurship by providing relevant solutions for the renewal and modernization of the sector. The overall objective of Cluj IT Cluster is to promote innovation in processes, design of products and services to increase competitiveness at international level, to create a partnership culture based on trust and dependability, to promote the Romanian IT market, to found lasting public-private partnerships for the benefit of the cluster’s members and of the society in general. 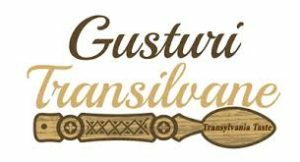 The members of TRANSILVANIAN FURNITURE CLUSTER were joined together in order to offer support to the existing furniture industry, to increase the competitiveness strength of the cluster and also, of each individual member company, both on domestic and foreign markets. Contributing to positioning the industry as world range leader for integrated solutions in furniture domain, with high specialization, design and quality. General Objective: Economic competitiveness, on both domestic and foreign markets, based on quality, innovation and sustainable development, for the considered 2012 – 2022 time-line. The goal of this cluster is to meet the needs of the IT market – available and competent human resources. Objective: Development of a new emerging cluster in training human resources for the advanced technology and strengthen its institutional capacity. Activities: Optimizing the communication flow within and outside the cluster, offering training services in advanced technologies, training of professors in universities to update and strengthen their knowledge in advanced technologies according to the new trends in this field. The cluster has over 80 members – Universities, SMEs, public authorities, catalyzes. 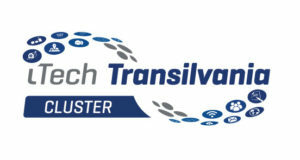 Transilvania Creative Industries Cluster aims to support member development by identifying and promoting initiatives capable of generating innovative products and services, as well as creating research, development and innovation projects to strengthen the cluster. The ensemble of the members of the association are interested to collaborate to increase their competitiveness on the one hand and the creative industries in Transylvania on the other hand, both at national and international level. Transilvania Taste Cluster innovates, develops and promotes the Transylvanian gastronomy and culinary arts, the cooperation between cooks, freelancers, companies, research&innovation units, training centers and other partners from Romania, the EU and worldwide. 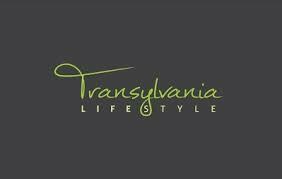 Transylvania Life Style Cluster is a non-for-profit membership organization and was initiated by 4 important SME’s organizations from Cluj-Napoca. More and more creative SMEs join this cluster, which is focused on two main concepts: quality of life and high standards of living for the citizens. Transylvania Lifestyle Cluster aims to increase the quality of life and the living standards. Art&Culture, Education, Entertainment, Food&Restaurants, Drinks&Beverages, Health, Beauty&Wellness, Media, Places&Spaces, Shops&Market, Sport&Leisure, Fashion, Style&Design, Technology&Innovation, Tradition&Folklore, Travel. TREC was born as a result of local stakeholders’ awareness of the importance of shifting perceptions related to the use of renewable energy and the opportunities arising from operating correctly. The overall objective of the cluster is represented by providing a framework for effective cooperation between its members in order to obtain tangible benefits to third parties representing their interests and promoting the production and use of energy from renewable sources.